The International Council of Sport Science and Physical Education (ICSSPE) is the world’s largest network of organisations and institutions concerned with sport, sport science and physical education, accounting for millions of people. AIESEP is a member of ICSSPE’s Associations Board, which is the strategic and scientific drive of ICSSPE. The Teaching Games for Understanding (TGFU) international task force, which was founded in 2002, is a globally representative group of associations and individuals committed to the promotion and dissemination of scholarly inquiry around ways of knowing, learning and teaching through games-centred approaches. In 2008 the task force evolved into the first Special Interest Group (SIG) of AIESEP. 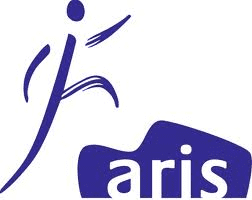 l’Association pour la Recherche sur l’Intervention en Sport (ARIS) is a community of researchers and professionals focused on intervention research in the field of sport and physical activity. Since it was founded in 1999, AIESEP has had strong links with the Association. The European Physical Education Association (EUPEA) is an umbrella organisation for national physical education associations in Europe which boasts 200,000 members in 32 countries. Its vision is to promote and defend physical education as an important educational area within the school system and the training of young people.